Home \ Entertainment \ Marc Anthony and Luis Miguel Collaboration? Marc Anthony and Luis Miguel Collaboration? 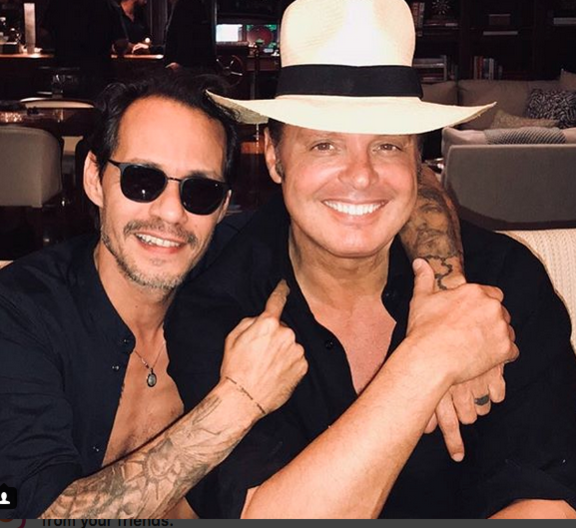 Over at PEOPLE, Lena Hansen writes about possible 2018 collaboration between icons Marc Anthony and Luis Miguel. Fans wonder if is a tour, musical collaboration, or just what type of surprise these giants have in preparation. Check out full story HERE.